Heat and cool when the costs of electricity are lower, meaning nightly or on weekends. Ensure your windows are leak proof to avoid unnecessary electricity use and install a programmable thermostat to have constant control over your energy use. To ensure that your electricity costs are lower, you can install an Energy-Stars rated heating or cooling system. Environmentally-Friendly Services: The province of Ontario encourages homes and businesses to use energy efficient, sustainable and ecologically friendly systems for heating and air-conditioning. Reduce your carbon footprint and save on energy today by installing one of DeMarco Mechanical’s new, upgraded home HVAC systems. DeMarco Mechanical offers top of the line HVAC systems and products designed to reduce a home’s energy consumption and reduce unnecessary waste. 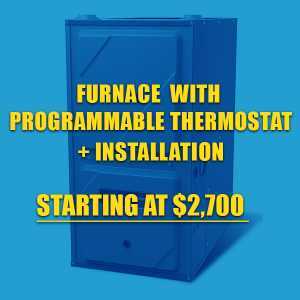 Start saving energy and money with the help of your top furnace technician Toronto. Help your city make Canada’s future brighter with the help of our company! A Reduction in Your Monthly Bills: Take advantage of Ontario’s Save-on-Energy program and finance your new, energy efficient heating and air conditioning system with the help of DeMarco Mechanical. You can outfit your home with DeMarco’s energy-saving heating and air conditioning systems, and greatly reduce your home or businesses energy consumption, thereby also preventing unnecessary energy waste and ensuring a reduction in your monthly bills. 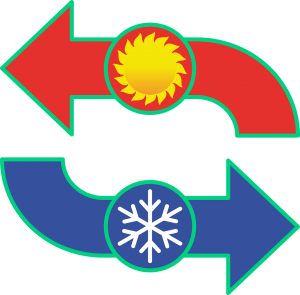 Our technologically advanced, Energy-Stars certified heating and cooling systems will reduce consumption, guarantee lower monthly bills, and lower your impact on the environment. You can take a part in your city’s initiatives by starting with your own home and business. 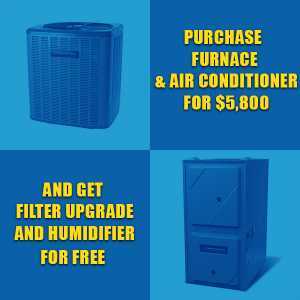 Let DeMarco help you with a high-efficiency furnace and AC installations today!. Eligibility for Tax Rebates: Installing an energy efficient heating, ventilation and air-conditioning system may qualify you for energy rebates from your local town or city, or the Province of Ontario. Check your area for more information. DeMarco Mechanical’s teams are professional, highly trained and dedicated, and offer the highest service standards. We treat your home as though it was our own, leaving behind no trace of the work. Our high service standards and excellent HVAC products allow us to stand behind every installation, repair and maintenance job we do. DeMarco Mechanical offers repairs and maintenance on all major brands of heating and air-conditioning. We offer our customers continuous support, 100% satisfaction and a lifetime warranty on all major work. Ontario Wide Service: We service all of the Greater Toronto Area and surrounding regions. Due to our far reach, we can provide our customers with superior services in all corners of Southern Ontario. Our company has loyally served the Greater Toronto Area and the surrounding regions for many years. 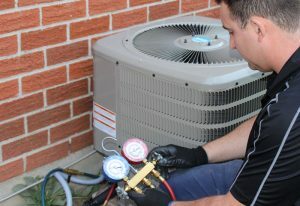 With our complete array of HVAC services and excellent products, we are able to craft lasting relationships with our customers throughout the GTA. We install, maintain repair and replace heating, air-conditioning, ventilation, and air purification systems. We offer a complete set of services, multi-equipment discounts, service contracts and complete warranties on all repairs and installations. Our highly competitive rates and excellent quality work allow us to be a fierce leader in the HVAC industry. Trust our years of experience and dedication to the craft, and allow us to find your home or business the best solution in heating and air conditioning. For a free estimate, or to request a visit, please give us a call or send us an email at (416) 820-9155 or adrian@demarcomechanical.ca. We are always happy to assist you!